Apple is working on a new high-end 2018 iPad that will adopt many of the design elements from the revamped iPhone X, reports Bloomberg. The new tablet device, which is likely to be a "Pro" model, will reportedly do away with the Home button. It will feature slimmer edges, a faster processor, a custom Apple-built GPU, and built-in support for Face ID, allowing it to be unlocked with a facial scan much like the iPhone X. With Face ID, there's no need for a Touch ID Home button. While the new 2018 iPad is said to be adopting many iPhone X features, Bloomberg's sources do not believe it will feature an OLED display. Instead, it will continue to use an LCD, likely because Apple suppliers are still working on ramping up OLED production. Samsung continues to be the only display maker capable of producing OLED displays suitable for an iPad, but technical and financial constraints will prevent Apple from adopting OLED at this time. A new version of its Apple Pencil and new "software tools" for using the stylus are also said to be in development alongside the new iPad model. 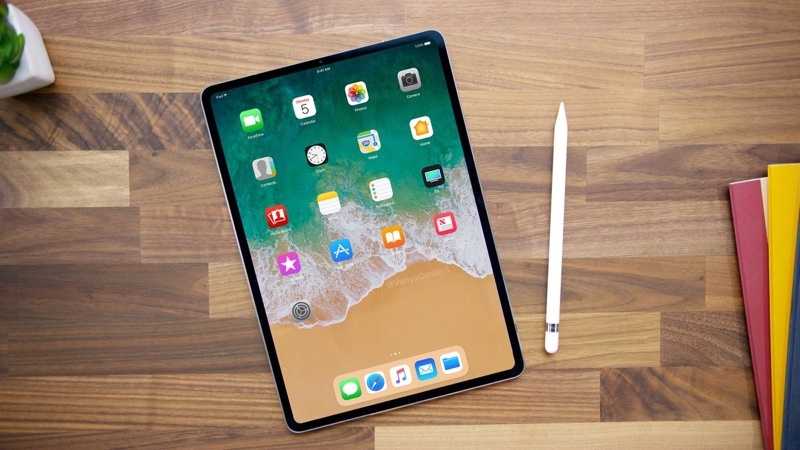 According to Bloomberg, the revamped iPad is expected to be released "a little more than a year" after the prior iPad Pro update, suggesting it could see a launch sometime around September. 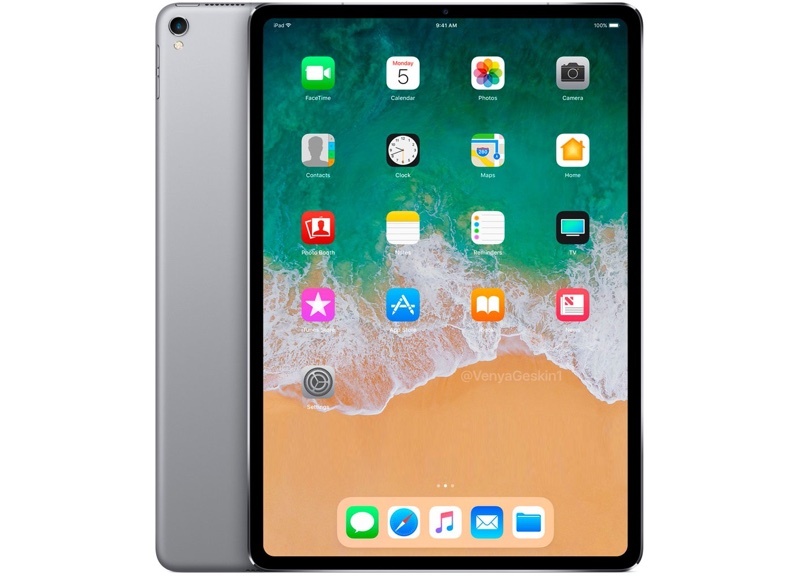 Apple refreshed its iPad Pro lineup in June of 2017 at the Worldwide Developers Conference. 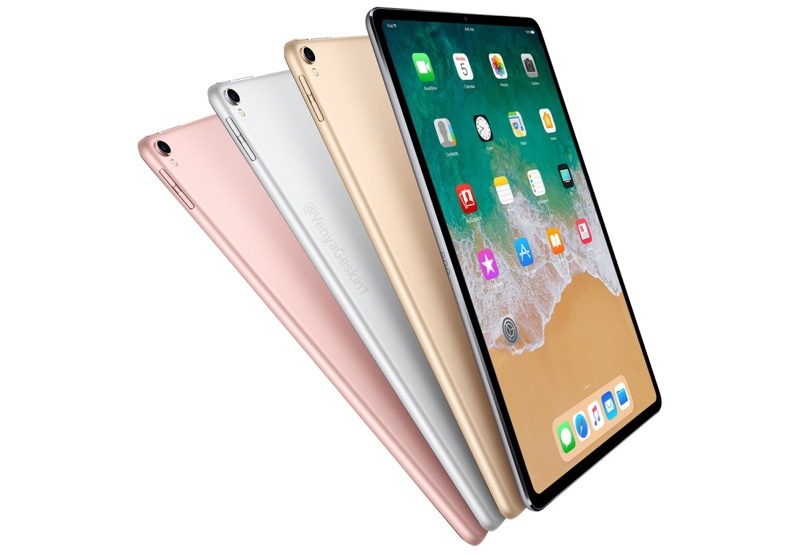 Today's rumor is in line with prior reports from reliable KGI Securities analyst Ming-Chi Kuo, who previously said he believes iPad Pro models set to be released in 2018 will come equipped with a TrueDepth Camera and support for Face ID. Ok I love my X, but an iPad shouldn't have a notch. I agree...Not sure why people on here are now 'liking' the Notch. I swear if any other company had a the Notch, they'd say it's the ugliest thing ever. Gonna need more than one ID for family. Oh I don't know, only because it's the best manufactured tablet on the market that does everything my laptop can do and more. It's the best device I own in my household. I'm glad I got my 10.5 inch IPP. I would be more than happy to resort to Face ID. I think this will also be nicely expanded into the iPad line. But it would be nice to see an OLED dislay eventually as well. What's changed that would render iPads as 'lame' if they weren't before? FWIW I use mine every day and eagerly await the 2018 model.